Privacy at World Broadcasting, Inc.
At World Broadcasting, Inc., we respect personal information and take seriously our privacy obligations. This website describes World Broadcasting, Inc.’s approach to privacy for World Broadcasting, Inc. website and mobile applications that link to this page (“online services”). We are committed to handling personal information in compliance with the specific provisions of applicable privacy laws worldwide. 1. By accessing this Site, ON AIR GUEST has requested a non-exclusive license to use World Broadcasting, Inc. Materials consisting of World Broadcasting, Inc. written publicity materials, video and photographs on this Site (subject to World Broadcasting, Inc.'s further approval) in connection with promotions and/or publicity for World Broadcasting, Inc. show "RON SEGGI TODAY" and/or other World Broadcasting, Inc. entertainment properties, editorial printed materials ("Publications") or for other approved, editorial uses. World Broadcasting, Inc. hereby grants a non-exclusive, royalty-free license to ON AIR GUEST to download and use a single copy of the Materials in this manner for the term of this Agreement and strictly for these purposes, subject to the terms and conditions set forth herein. ON AIR GUEST agrees that the Material will be used only for informational, non-commercial purposes on the ON AIR GUEST's Site itself and/or in Publications or other approved editorial uses, and for no other purpose and in no other manner, medium or place whatsoever. The Material shall not be sold, redistributed, relicensed or sublicensed by ON AIR GUESTS in any way. ON AIR GUEST's Site shall consist only of a standard HTML Site viewed by users connected to the Internet in real time. All other uses of the Material, including, but not limited to, those involving advanced technologies, online services, push technology, broadcast, and all other mediums are expressly reserved by World Broadcasting, Inc. and ON AIR GUEST must seek specific permission from World Broadcasting, Inc. prior to making any such use of the Materials. 2. ON AIR GUEST shall not use the Material in any manner that is in any way objectionable or in conjunction with other materials or information that is in any way objectionable. As used herein, "objectionable" means any materials or information in any medium or format, including without limitation text, data, graphics, audio or video, content (or use of the content) that: (a) is libelous or defamatory, pornographic, sexually explicit, unlawful or plagiarized; (b) a reasonable person would consider harassing, abusive, threatening, harmful, vulgar, profane, obscene, excessively violent, racially, ethnically or otherwise objectionable or offensive in any way; (c) constitutes a breach of any person's privacy or publicity rights, a misrepresentation of facts, hate speech or an infringement of any third party's intellectual property rights of any kind, including without limitation, copyright, patent, trademark, industrial design, trade secret, confidentiality or moral rights; (d) violates or encourages other to violate any applicable law; (e) promotes software or services that deliver unsolicited email; or (f) contain direct links (by a single click) to web sites that contain information of the kind described in this definition. 3. ON AIR GUEST agrees that between ON AIR GUEST and World Broadcasting, Inc., World Broadcasting, Inc. is the exclusive owner of all rights, title and interest in and to the Materials, including copyright and trademark rights therein. ON AIR GUESTS shall not use the Material in any way that may violate or is inconsistent with World Broadcasting, Inc.'s rights. World Broadcasting, Inc. shall at all times, anywhere in the world and in all media and whether or not in conflict or competition with ON AIR GUEST, have the right to use and authorize others to use the Materials in any manner. 4. 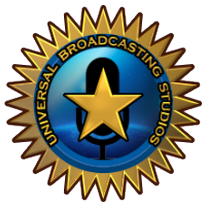 The term of this license shall commence upon ON AIR GUEST's audio voice recording World Broadcasting, Inc. RonSeggi.com, and shall continue as long as ON AIR GUEST continues to access World Broadcasting, Inc. RonSeggi.com, subject to World Broadcasting, Inc.'s right of termination under Section 9 of this Agreement. ON AIR GUEST represents and warrants that any information provided to World Broadcasting, Inc. RonSeggi.com by ON AIR GUEST are true and accurate. 5. ON AIR GUEST agrees that it will not use the Materials and/or Contents in advertisements or promotions of any kind regarding ON AIR GUEST's Site or Publications, including, without limitation, use of the Materials in any promotional tie-ins, without World Broadcasting, Inc.'s prior written consent. 6. ON AIR GUEST agrees that any use of any Materials by ON AIR GUEST shall be in its entirety on the Site and/or in the Publications and shall not be altered or edited in any way, without World Broadcasting, Inc.'s prior written consent. 7. ON AIR GUEST agrees that it will not take or use still "screen grab" images from moving segments or samples of audio recordings of the Materials, if any, without World Broadcasting, Inc.'s prior written consent. 8. ON AIR GUESTS agrees that for each radio show from which Material is used, ON AIR GUEST will make best effort to include tune-in information and/or on demand information including the name, air date, day and time of the show "RON SEGGI TODAY" from which Material was taken. With respect to any photograph and/or graphics used by ON AIR GUEST, ON AIR GUESTS shall make best effort to credit World Broadcasting, Inc. "RON SEGGI TODAY" for providing the photograph and/or graphics. 9. This Agreement may be terminated by World Broadcasting, Inc. at any time at its sole discretion. Immediately upon the termination of this Agreement, ON AIR GUEST shall cease all use of the Materials, take all Materials off ON AIR GUEST's Site, take down all hyperlinks to World Broadcasting, Inc., and return the Material to World Broadcasting, Inc..
10. ON AIR GUEST will fully defend and indemnify World Broadcasting, Inc. and its licensors and suppliers from and against any and all claims, actions, liabilities, losses, costs, damages, and expenses, including, without limitation, reasonable attorneys' fees, caused by, arising wholly or in part out of, or resulting from the operation of the ON AIR GUEST's Site or ON AIR GUEST's use of the Material on ON AIR GUEST's Site or in Publications or in any other way. 11. DISCLAIMER. World Broadcasting, Inc. intends to provide the most current information available about World Broadcasting, Inc. programming and events and to make efforts to ensure that the Material on this Site is updated on a regular basis. However, programming and schedules are subject to sudden changes without notice, and World Broadcasting, Inc. makes no guarantee that the Material on this Site is accurate, and is not responsible for any errors or omissions in the Material provided. EXCEPT AS EXPRESSLY PROVIDED HEREIN, THE MATERIAL IS PROVIDED "AS IS" AND "AS AVAILABLE" AND World Broadcasting, Inc. DISCLAIMS ALL WARRANTIES OF ANY KIND, WHETHER EXPRESS OR IMPLIED, FOR THE OPERATION OF THIS SITE, INCLUDING BUT NOT LIMITED TO THE IMPLIED WARRANTY OF MERCHANTABILITY OR FITNESS FOR A PARTICULAR PURPOSE AND IMPLIED WARRANTIES ARISING FROM COURSE OF DEALING OR COURSE OF PERFORMANCE. World Broadcasting, Inc. makes no guarantees with respect to the Material provided on this Site, and neither World Broadcasting, Inc. nor any of its officers, directors or agents, shall have any liability as a result of ANY USERS and/or ON AIR GUEST's use of the Site, including, without limitation, internet disruption, interrupted service, errors or delays in providing the Site. In no event shall World Broadcasting, Inc. be liable for indirect, exemplary, special, incidental or consequential damages, or costs, including but not limited to, any lost profits or revenues, loss of use or goodwill, or any third party claims, even if such party has been advised of the possibility of such damages. For further information about this Site, if you experience difficulty accessing this Site or any Materials on this Site, please contact World Broadcasting, Inc. through the "CONTACT TAB" EMAIL FORM on this site. USER'S USE OF THE MATERIAL DENOTES USER'S ACCEPTANCE OF AND AGREEMENT TO THE TERMS AND CONDITIONS OF THIS AGREEMENT.